Malacca Sultanate, the Nusantara success story! Critical analysis from Malay classics of "Sejarah Melayu" and Hikayat Hang Tuah". Comparison with Sun Zi's Art of War, world's oldest strategic manual with age-proven systematic strategic thinking, planning and implementation for high pressure, swift changing, war-like conditions (including crises and modern globalisation). Individual Skills, especially with respect to change. Using "Art of Firasat" to calmly watch for seizing any advantage. "Ayah-Adik-Beradik" Leadership in the growth of strong organisation. 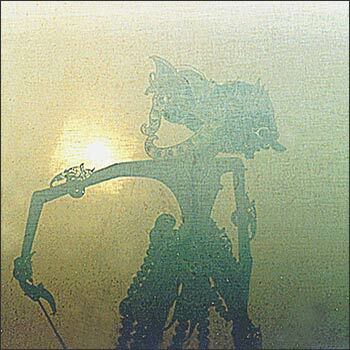 "Wayang Kulit" Aggressive Action Oriented Competitive Advantage in the high pressure modern world. With a age-long proven track record covering 100 years, the Malacca Sultanate is a potent case model to inculcate practical strategic principles applicable to modern high pressure swift changing complex conditions. "Tak Melayu hilang di dunia"
Sessions 1,2:	STRATEGIC PRINCIPLES AT INDIVIDUAL LEVEL. A refreshing step by step methodology into the strategic thinking, planning and implementation process through evaluation of the life of Hang Tuah. Effective Role Model for Individual Excellence: Hang Tuah, the talented warrior, who never gave up even when he was down. The qualities of talent and discipline an individual must have to succeed. Participants shall answer various questions, which will determine their strategic style. They shall be divided into groups to discuss pertinent strategic principles. Participants will draw equivalents from their cultures. Session 4:	STRATEGIC PRINCIPLES AT LEADERSHIP LEVEL. Astute scanning, selection of men and effective mentoring. Handling people, both superiors and sub-ordinates. Need to check before moving. Principle of "Be nice to people". Once plans are made, they need to be implemented. The initial part of implementation is always to organise the men into a community. Session 5:	STRATEGIC PRINCIPLES FOR COMMUNITY LEVEL. "Tree and roots": A place for everyone. "Fire and fuel": Synergistic cooperation. Malacca Court Model for think tank. Strategic principle of give and take. Strategic Factors in the Decline of the Malacca Sultanate. A very important special paper based on recent university research into real differences in the ways East and West undertake organisational management and operations. Emphasis on cultural basis for organisational management. Participants shall analyse a relevant case illustration, which especially touches on principles from the Malacca Sultanate history with relevance to modern business. Participants will then be divided into groups to discuss the case. Group spokesman will present conclusions about strategic management principles. Every race and era have the strategic principles - it is the culture which determines their effective transmission for remembrance. Search for cultural identity and pride. The "Deman Lebar Daun" Declaration. Holistic strategic significance of the keris. Strategic roles of ceremonies in effective administration. Historical Romanticism: Tool of strategic remembrance. "Sejarah bukan batang kayu, tapi pentas jiwa dongeng nenek moyang"
History is not a piece of wood, but the stage of play of the spirits of ancestors.